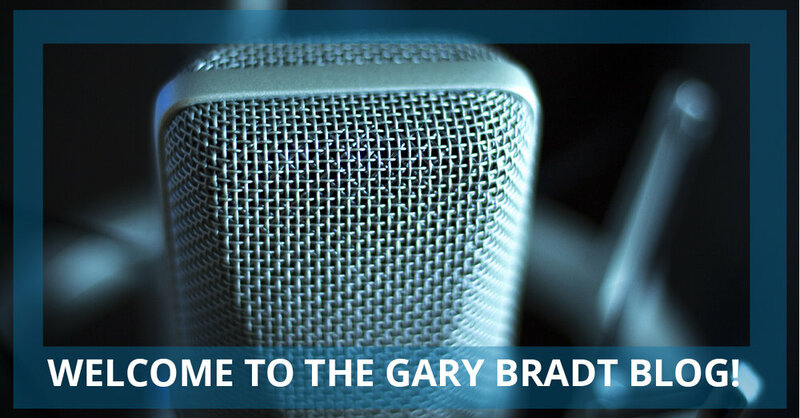 Welcome to the Gary Bradt Blog! Hello and welcome to the Gary Bradt Blog! We are excited that you are here. In our blog, we will share more about Gary, his philosophy on change, special events, and other important news. For those of you unfamiliar with Gary and his work, let us tell you a little about his personal development as a coach, writer, and leadership speaker. Gary, a clinical psychologist, began his career as a motivational speaker and change leadership keynote speaker when Dr. Spencer Johnson selected Gary to be his speaker for Johnson’s bestselling book Who Moved My Cheese? which is about dealing with change in both our personal and work lives. In Who Moved My Cheese?, there are two mice named Sniff and Scurry and two humans named Hem and Haw. In this book, Sniff and Scurry as well as Hem and Haw must find solutions to the changes that they face. However, as Gary spoke about change and the question of whether to change as addressed in the book, he found that the real question was more so how to change. Also, for Gary, the means for change became integral and very personal to his own life. As a father of a child born with a life-threatening heart condition, it forced him to learn how to adapt to be the best father to his child who was facing huge challenges and a husband supporting his spouse. Through this experience and learning more about change, Gary decided to become a personal development coach and business motivational speaker to share what he has learned about the necessity to not only accept inevitable change with ease, but to also give others the tools to adapt. Since then, Gary has been traveling the world as a keynote speaker for conferences and special events around the world. Some of these clients include major corporate movers and shakers such as Visa, FedEx, IBM, Ebay, Capital One, Honeywell, Xerox, BlueCross BlueShield, HSBC, American Express, Merrill Lynch, Prudential, Marriott, Nationwide, P&G, and NASA. Gary not only continues to travel across the country and world speaking about the means for adapting to changes in our personal and professional lives, but he has also written three books, offers an online change academy, and is a contributing editor to Forbes.com. Gary’s books are all about the adaptation process that we must go through to find the opportunities within the chaos that is change. He also speaks about transforming the way that we relate to change saying that, “Leaders don’t complain about change. They are too busy doing something about it.” Gary’s books include Change: The Tools You Need for the Life You Want at Work and Home and The Ring in the Rubble: Dig Through Change and Find Your Next Golden Opportunity. He also wrote Put on Your Mask First: The Caregivers Guide to Self-Care. As we mentioned before, Gary is a contributing writer for Forbes.com and has been featured in The Wall Street Journal, Fox News, and Inc. Along with speaking engagements, his own books, and writing opportunities, Gary creates videos and is active on social media, inspiring anyone to take advantage of change. We are excited that you stopped by to learn more about Gary Bradt. To read about Gary, inquire about speaking engagements, and more, visit our website. Gary is a change speaker who will challenge and inspire you, while giving you the practical tools to find personal and professional success. Stay tuned for upcoming blog posts, exciting news, and more. There is never a better time than now, to access your life and change your perspective.